No man stands so tall as when he stoops to help a child! Most of the children that we accept for surgery either have cleft lip and/or cleft palate, club feet or tumours but we don't restrict our activities, we have also treated hernia’s, replaced infected eyes with a glass eye and operated on meningocele patients. As one of the top cleft palate charity organizations in New Zealand, we concentrate on finding children who live in poverty in isolated parts of the world. These children are often over looked due to their isolation and a lack of funding. Foundation staff working with local health care authorities, can take days to find and successfully process these children in need. 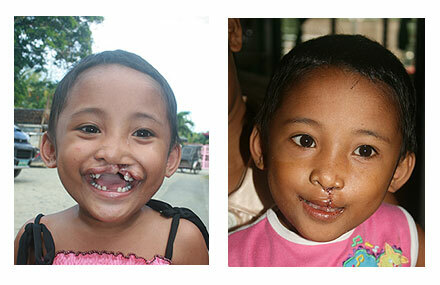 Currently in the Philippines alone, approximately 133,000 children are awaiting cleft lip and or palate surgery. 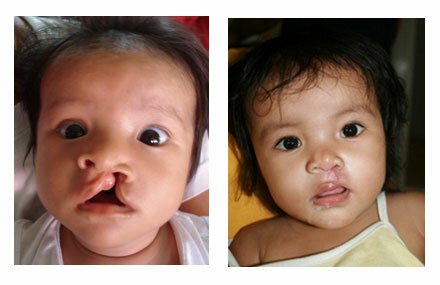 Each year 4,500 Filipino babies are born with a cleft lip or palate, around 1child every 3 minutes! Approximately 180,000 of these children require medical care to lead productive lives Operation Smile. Cleft lip and palate can be surgically corrected for as little as $250, but this still puts it out of the reach of most Filipino families. The surgery, if done at birth, allows the babies and children to go on to lead normal unimpaired lives. However, the longer the corrective surgery is left the more damaging the implications on the life of the child. Many children with this defect are abandoned at birth and even those that are not, go on to lead lives of isolation and shame. 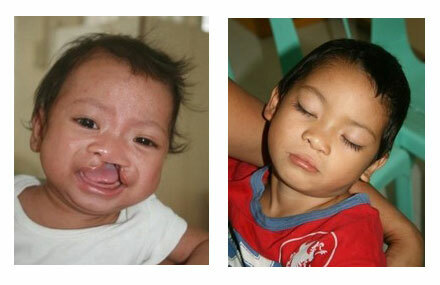 A cleft lip may cause feeding problems and lead to malnourishment of the child. This problem is most frequently seen in area’s where parents do not have access to specialized equipment enabling the affected child to be fed without complication. The cleft lip, in particular, creates problems with breastfeeding as the infant is unable to latch on efficiently, and normal bottle-feeding leads to the nostrils of the infant being filled with milk. In addition to this, cleft lip leads to speech/language problems, and if left untreated further affects the bio-psychosocial well-being of the children. If surgical repair is not performed early enough, a child with cleft palate may have difficulty with proper pronunciation and articulation. 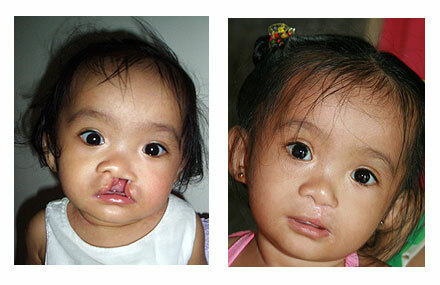 Cleft palate can also cause dental and middle ear problems. These complications are all deeply impacting to a child and create lifelong suffering due to a condition that is relatively easy to remedy! The average cost of each child is approximately $250.00 which includes transportation, accommodation, medication, doctors visits, pre-op and post-op checks. We work closely with other similar organisations to share costs whenever possible.